At 79 years old, Albuquerque, New Mexico, resident Frances Wilson lives on a fixed income provided by Social Security, which leaves little room for financial error. 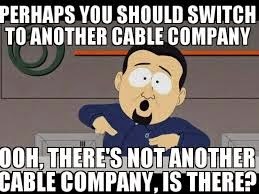 Which, of course, is where Comcast comes in. Wilson reportedly mistakenly included a $235 rent check along with her monthly $20 payment for Comcast’s services, both of which the company promptly cashed. Odd, considering that the rent check wasn’t made out to Comcast, though that didn’t seem to slow the cable giant down any. A customer-service rep confirmed as much to Wilson, offering eventually to credit the amount to her account. Which, of course, isn’t extremely useful to a person living off of Social Security who needs to pay her rent this month, not her cable bill for the next 10 months. Cindy Parsons, a Comcast spokeswoman said that happened because no employee ever touched the payments. The system is all automated. Wilson had to come up with an additional $235 for her rent payment.